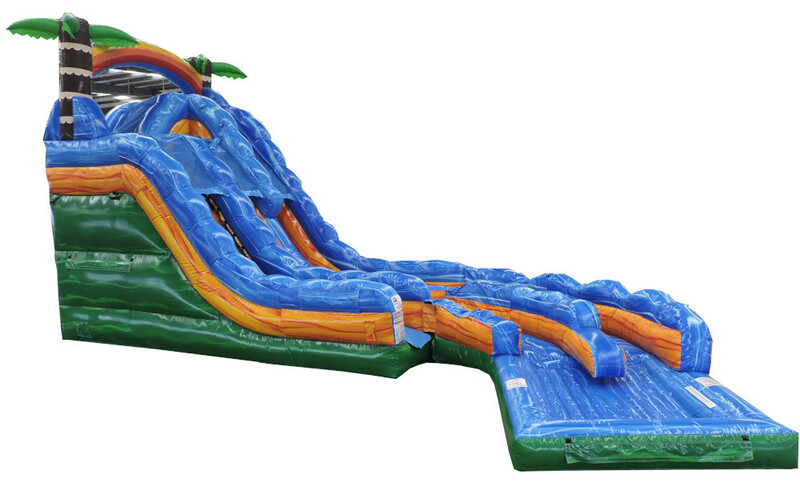 The Tropical Thunder Water Slide is a 2-story, double-lane curving water slide with two different sliding platforms of varying heights. 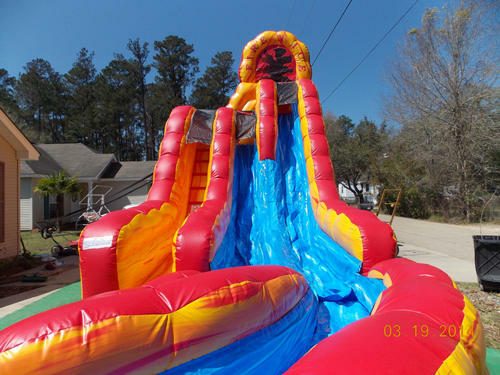 Kids actually choose from which height they want to slide down from!. 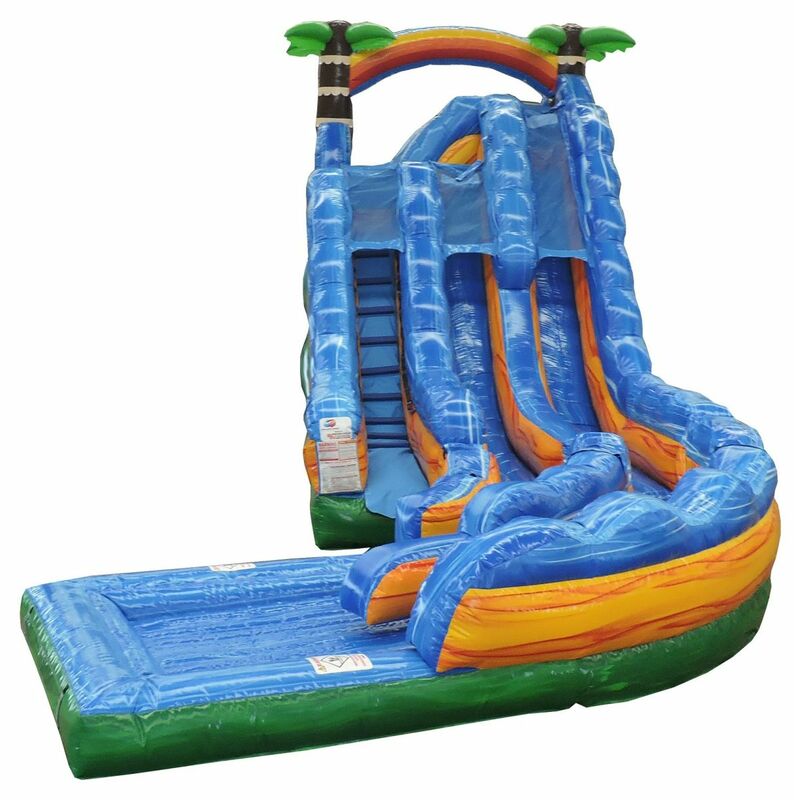 Climb the ladder and stop at the first platform or continue 3-1/2-feet higher to the second platform, then slide down, whip around the turn, and splash into a pool of water. 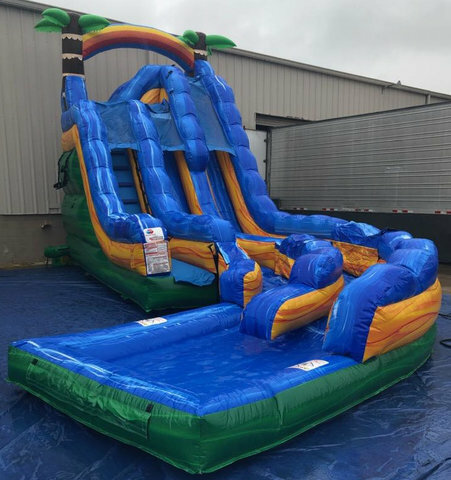 This is a high-throughput slide that's perfect for medium to large-size groups of kids and will keep the line moving all day long. The tropical colors will liven up any party and make for some really nice social media posts! 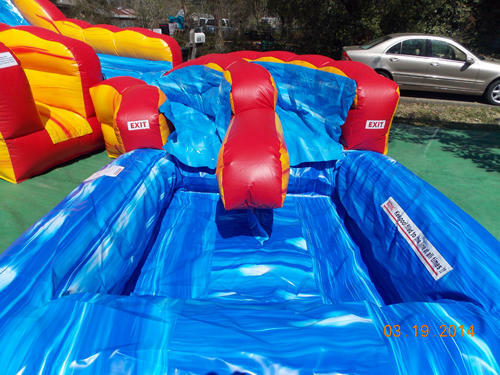 Setup Requirements: Approx 40' deep x 20' wide flat ground with 18' of overhead clearance at the rear, one electrical outlet within 125 feet, and a hose faucet.